With the advent of online visas, travelling to Malaysia has just got easier. However, applying for an online visa can be challenging, especially if you are not well-versed with the internet. Read on to know which websites to visit, what steps need to be followed and how exactly do you apply for a Malaysia visa online. On March 1st 2017, the Malaysian government set up the facility to apply for an electronic visa (eVisa). The application form and necessary documents for an eVisa need to be submitted online, the visa approval is also done online and you will finally get the visa in your email. The Malaysian government introduced the online application facility, in an effort to boost tourism. Which kinds of visa can I apply for online? Single Entry Visa: A single entry visa allows you to enter Malaysia only once. After you have departed, it is necessary that you obtain a new permit. The Single Entry Visa allows you to stay in Malaysia for a maximum period of 30 days. Apply for this visa if the nature of your visit to Malaysia is social or tourist in nature. Multiple Entry Visa: A Multiple Entry Visa allows you to enter, depart and re-enter Malaysia several times. However, your journey should be within the period of visa validity. The Multiple Entry Visa also allows you to visit Malaysia for 30 days. This visa is generally used if you need to visit Malaysia for business or expatriate purposes. eNTRI visa: eNTRI stands for Electronic Travel Registration and Information visa. Malaysia had formulated it as an initiative to improve bilateral relations between India, China and themselves. The eNTRI visa is also applicable to the nationals of these countries only. 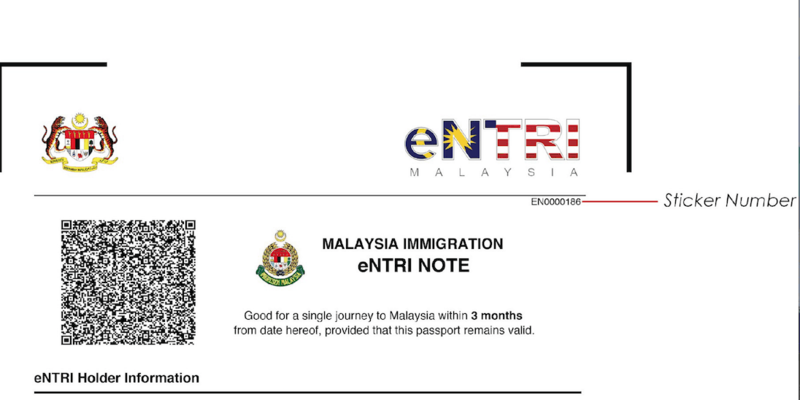 The eNTRI visa allows you to visit Malaysia for 15 days. The time period on none of these visas is extendable. What are the benefits if I apply for Malaysia visa online? Cost saving: It is much more economical to opt for an online visa application, as opposed to manually applying for a visa. The cost incurred while travelling to the visa consulate multiple times is eliminated. 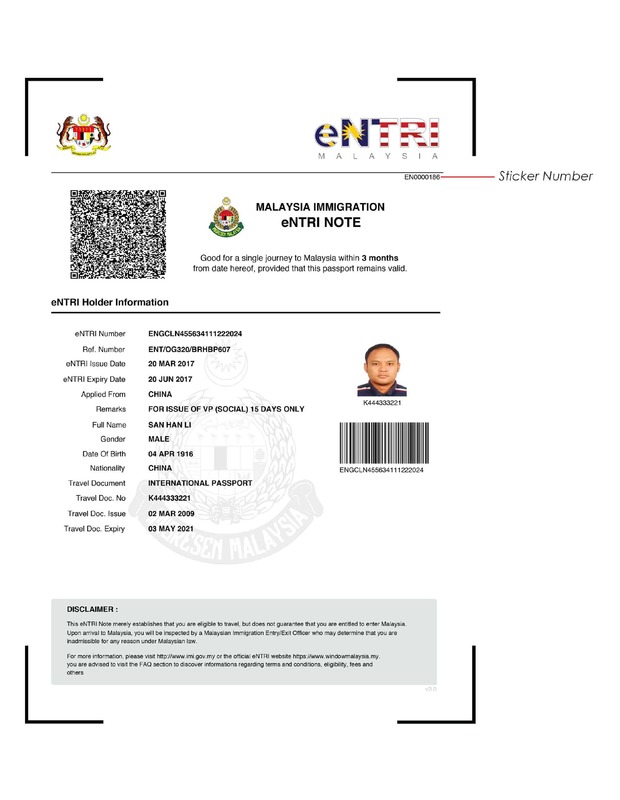 eNTRI visa is a much more affordable option if you are looking for a short holiday to Malaysia rather than applying for a lengthy tourist visa at the consulate. Time-saving: The queues at immigration counters or visa consulates are a nightmare. You can save precious time by applying for a Malaysia visa online. After approval, the visa will reach you in just 48 hours. Ease of application: All you need to apply for a Malaysia visa online is a device with an internet connection. You can apply for the visa from the comfort of your home. The online application process also cuts down bureaucracy, making the process of obtaining a visa relatively simple. How can I apply for Malaysia visa online? Click on the ‘I’m New’ tab. Follow this link here, to get to the webpage. After you have submitted the application, the Immigration Department needs to review and process it. You can track the status of your visa application by following the link given here. Alternatively, you can click on the ‘Check eVisa/ eNTRI Authenticity’ tab on the right-hand corner of the windowmalaysia.my webpage. Type in your passport number and sticker number as given on the visa application form. After the Immigration Department of Malaysia approves your visa, you will receive it through email. The eVisa will reach you just 48 working hours, after approval. Why you should choose evisamalaysia.in? Applying for a Malaysia visa through the windowmalysia.my website is a strenuous process. Firstly, you need to make a separate account for each family member applying for a visa. Secondly, there is no guarantee that you will receive a visa even after application, as the site subjects you to rigorous checks. Lastly, the site is prone to many bugs and crashes and is often slow due to heavy traffic on it. It is therefore recommended that you apply through a trusted agent instead. You need to be cautious of fake agents and scam artists, who cheat you of your hard-earned money. The best website or agent to use to apply for a Malaysia visa online is evisamalaysia.in. The site is reputed and trustworthy. It is fairly simpler to register and there is no need to bother about guidelines of documentation, as the agents take care of it. Click on ‘Apply for Malaysia eVisa’. You can find the tab on the topmost right corner of the page. Fill in this form with all your details, specifying the type of visa you want to apply for and the number of applicants from your side. After you submit the form, you will get a call from the agents giving you a information about the eVisa application process and payments. At this stage, you need to make a payment of 10% of the processing fee. The agents will format your visa application and supporting documents, and forward it to the Immigration Department of Malaysia. You can track your application status by getting regular updates from the agent, or by following the process previously mentioned. After your application is accepted you will receive an email with a unique payment link. At this point, you need to make the remainder of the payment. 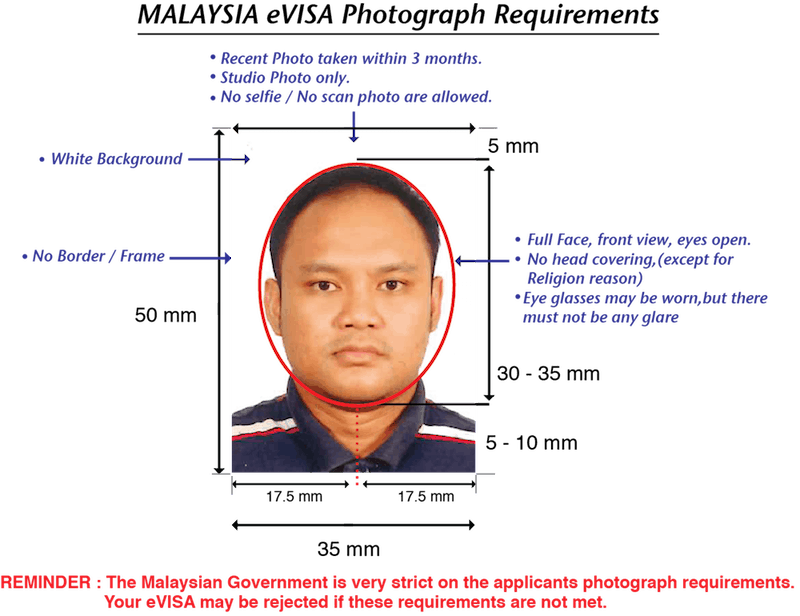 What are the documents I require to apply for Malaysia visa online? The photograph must follow the specific guidelines set by the government. In case of a minor travelling alone, you require a No Objection Certificate (NOC) from both parents, as well. What browser can I use to apply for Malaysia visa online? You can use Google Chrome, Firefox or Mozilla apply for the visa online. If the site is slow or unresponsive, you can try clearing the cookies and caches from your browser. Can I apply for Malaysia visa online with just one account? Yes. If you apply through the reputed agents evisamalaysia.in, then you need to make only one account. However, if you are applying through windowmalaysia.my, then each person applying for an eVisa will require a separate account. How much time will it take to get my online visa? After processing and approval, you will get the eVisa in 48 hours. This time period denotes only for working hours and does not include weekends or public holidays. The visa dispatch might be delayed due to certain contingencies, but this is rare. I’m an Indian, can I apply for an eVisa? How do I track my visa status online? To track your visa status online, you can visit the website windowmalaysia.my and click the ‘Check eVisa / eNTRI Authenticity’ tab, on the right-hand corner of the webpage. Alternatively, you can follow the link given here. Enter your passport number and visa sticker number to check the progress of your application. Can I show a digital copy of the visa at the Immigration Counter? No. You need to furnish a hard copy of the eVisa at the Immigration Counter after you have landed in Malaysia. A digital copy of the eVisa is not accepted. How long is an online visa valid? The online visa (eVisa) is valid for 90 days after the date of issuing. This is true in case of single-entry, multiple-entry and eNTRI visas. The maximum duration you can stay in Malaysia with an eNTRI visa is 15 days. This time period is not extendable by any means. Can I apply for a work visa online? No. It is only possible to apply for a social visit, expatriate or tourist visa online. Is a visa on arrival better than an online visa? Visa on arrival is only valid if you arrive into Malaysia from Indonesia, Thailand or Singapore. You need to possess a valid visa for these countries as well. You can stay in Malaysia with a visa on arrival only for 7 days. The cost you need to pay for a visa on arrival is higher than what you would pay for an eVisa. It is necessary to carry 1000 USD in cash or card when you have to apply for a visa on arrival. There is no such constraint when applying for an eVisa.